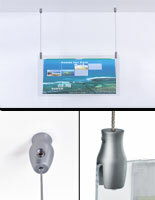 This 11x17 acrylic sign holder is designed for use with overhead signage mounting systems. 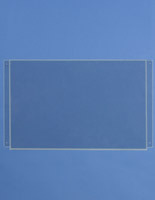 The modular panel comes with S-hooks for attaching to other frames. 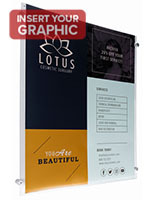 Each lightweight acrylic sign holder is made from 1/8" thick plastic and can be used with single or double sided graphics. 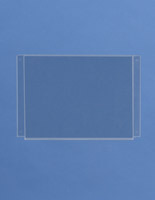 The mounting holes allow the frame to be used alone with mounting chain, filament or wire systems as well as linked to other frames as desired. 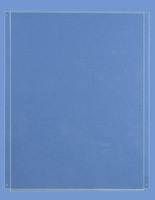 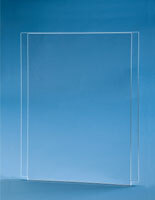 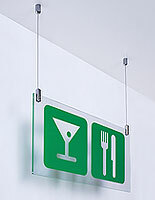 This versatile acrylic sign holder is ideal for creating overhead or window advertisements or messsaging. 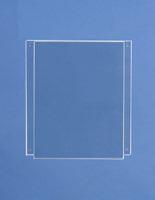 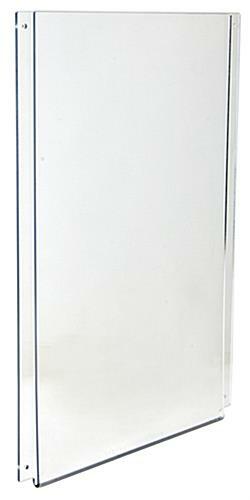 The clear plastic modular accessory top-loads for easy graphics changes.